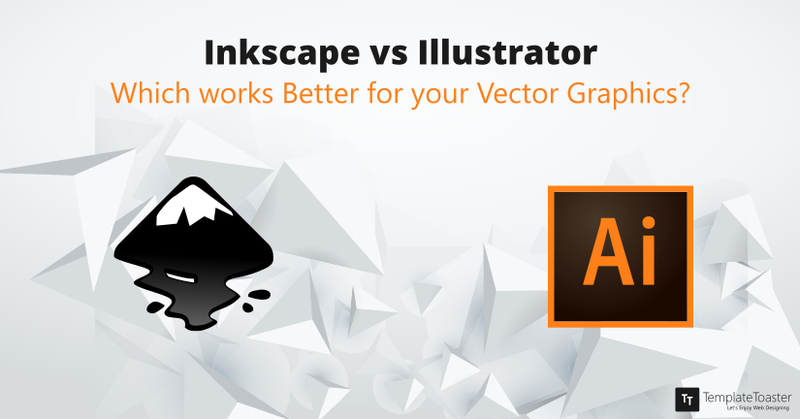 Inkscape vs Illustrator: Which works Better for Vector Graphics? Every time we think of an open source and free application, we always consider it inferior in comparison to the more popular and paid one. But, times has changed my friend, it is not the same anymore. The open-source community has grown wider and so has grown the possibilities of an open source tool that could at least match if not surpass the functionality of the more popular and paid tool. Inkscape is the result of one such development. It is a software for vector-graphic designing available for free. Here at Templatetoaster web design software, let me compare Inkscape VS Illustrator (more popular and pricier tool) to prove its worth. Certainly, Adobe Illustrator is there with its great set features but, Inkscape is nowhere lesser. It is a very flexible vector graphics editor that offers you almost all the functionality you expect from a more pricier version only. Inkscape and Illustrator both are ‘feature packed’. Illustrator offers a great set of features that lets you create logos, icons, sketches, typography, and complex illustrations. But, it is Inkscape that comes out as a complete ‘shocker’ with some out of the box features equivalent to Illustrator that too for free. Whether it is colouring, sketching or illustrating, Inkscape is very fluidic to use. Editing directly on the SVG source code. Keys to move/rotate/scale by screen pixels. Tiled clone, edit clones on the canvas. Edit nodes using a keyboard. Edit gradients with handles on-canvas (CS4 added this feature). SVG (Scalable Vector Graphics) is the format for rendering 2D graphics and application in XML. 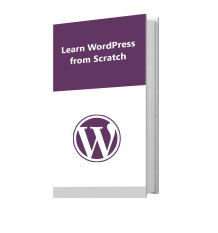 It is very helpful in using these graphics on websites as well as print media. Thus, Inkscape not only is totally sufficient graphics software for designers but, it also goes head on with almost all the features of Illustrator. When it comes to the flexibility, both the tools are very flexible. Inkscape and Illustrator provides a very sound sack of features for the graphic editing. While Illustrator provides support for almost all the file types, Inkscape lacks support for .eps file format. Also, you cannot export your artwork as a .jpeg file. This functionality, however, could be added to Inkscape by the use of an extension. Not only this, a lot more features could be added using different extensions. Let me discuss a few extensions I preferred using. It is a very useful extension to the Inkscape that helps it to read .eps files. It converts .eps files into .pdf files to make it compatible to work with Inkscape. All you need to do is download Ghostscript to C:/Program Files. Now, once Ghostscript is installed, you need to specify the path of its bin and lib. folder to Inkscape. This could be done suggesting paths of these folders to the Path Environment Variable (you will need administrator access in order to make these changes). The first thing you need to do is to ‘make sure Inkscape is not running’. You need to be very particular while adding the paths. Make sure that you add the relevant paths of bin and lib. folders of Ghostscript. In case you are installing a different version of Ghostscript, use the appropriate version number in the path. 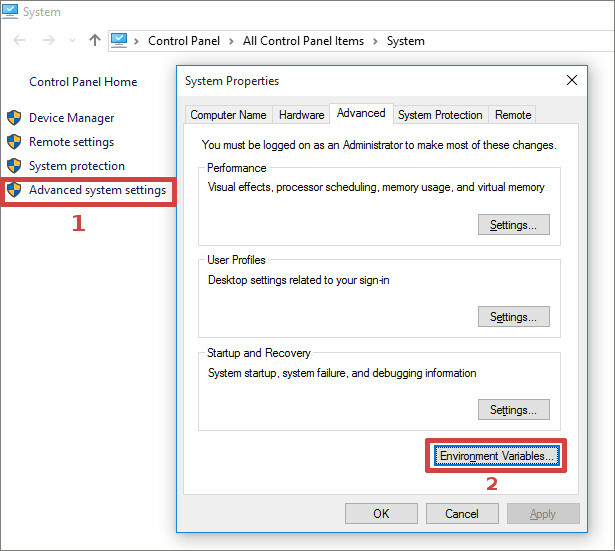 Go to Control Panel > System>Advanced System Settings, a system properties dialog box will be opened. Click on the Advanced tab and then on the Environment Variables button. 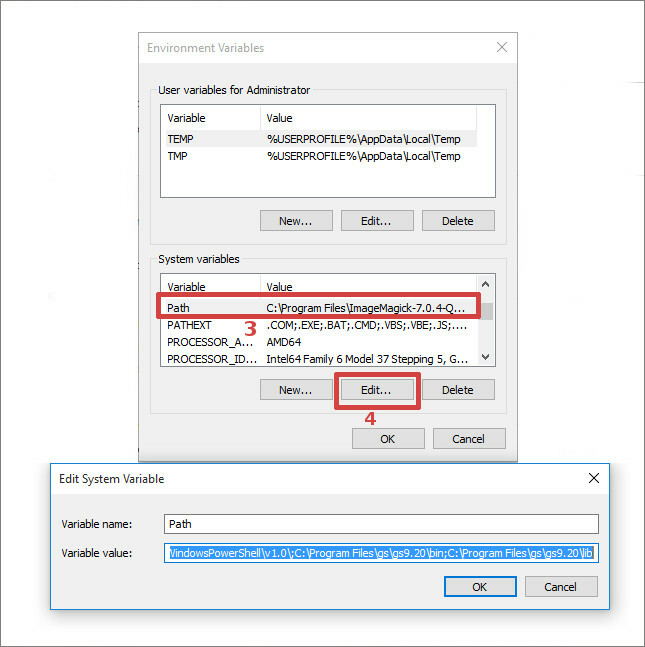 In the Environment Variables dialog, go to the system variables section and scroll down to find the path. Select it and click on Edit. Here, in the Edit System Variable dialog, you can add the appropriate paths in the variable value field. These paths need to be separated by semicolons (;). So, to add the paths to the front, you need to end with a semicolon. Similarly, to add the paths to the back, start with a semicolon. Now, when you have changed the path, refresh your system and open Inkscape. For the very first time after making the changes, you’ll notice that Inkscape will take a little longer to respond. This might be due to the processing time that allows the importing of EPS files. 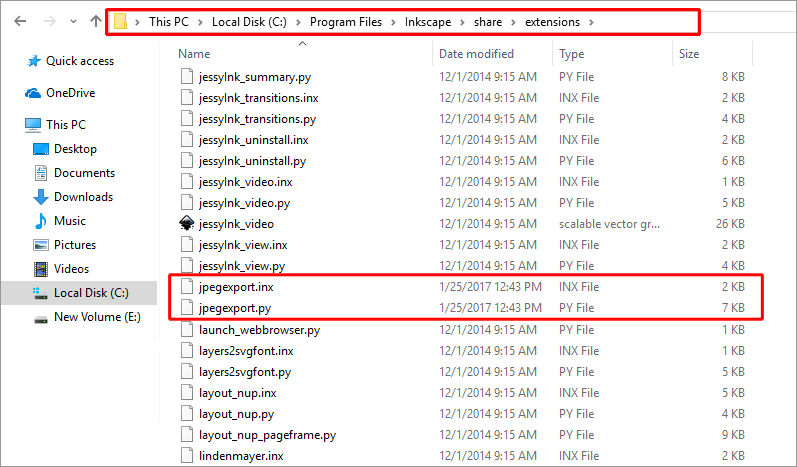 Once Inkscape is set to work, choose File > Import (Ctrl+I) and select the folder that contains EPS files. Choose the file and click on Open. The PDF Import Settings dialog will appear. Choose the desired settings and click the OK button. The EPS file data is now converted to vector data that could be tailored in the Inkscape. You can now alter the drawing according to your needs and save it in SVG format. This allows you to export a selection directly in the .jpeg format from Inkscape. 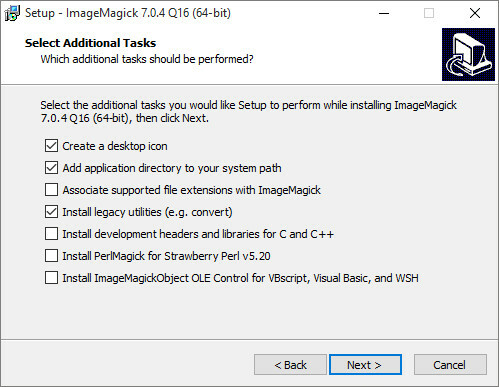 It creates a .png file and then converts it to .jpeg using ImageMagick (another extension you need to download to work with JPEG-export-extension). Now for JPEG-export-extension, You just have to download the file and copy it to the C: > Program Files > Inkscape > share > extensions. Now, open Inkscape and go to Extensions(in the main menu) > Export > JPEG Export. You can now export your design to .jpeg file format. Inkscape and Illustrator are both very easy to use tools. They offer a very friendly interface. None of the two is going to make you feel unfamiliar using them. In my view, Inkscape offers a very perfect interface. It might not be as polished and oversimplified as Illustrator, but, it has a well managed and organised interface that offers more friendliness not only to the beginners but, to the professionals as well. Another advantage of using Inkscape is that it automatically converts Bitmap into vector files. Now, Illustrator is an expensive software and hence, it is expected to provide an extensive customer support. And, it does. It offers a number of tutorials and videos, a lot more chatting and calling options. But, you are getting all this at a price point most of you cannot even afford to pay. Whereas Inkscape being an open source software provides an open community forum to its users. In this forum, anybody could participate and answer the queries. It is a wide community so you might find the answers to your questions from already answered queries as well. Not only this, the developers of the Inkscape also participate in the forum and helps the users to find out the desired solution to their problem. Pricing is one of the most important points in consideration while we think of buying a tool. Illustrator is a vector-graphic designing tool with a premium price tag. You need to pay a huge sum of money to own it. Although, it offers a free trial but it is for a limited time. Inkscape, on the other hand, is an open source vector-graphic designing software available free of cost. It does not offer any premium pricing tag rather free. And, I don’t think I would recommend paying this huge amount of money when you could get almost all such functionality free of cost. So, taking you through all these points of comparison between Inkscape vs Illustrator, I recommend Inkscape. Not just for the beginner but also for the professionals. You do not require any proprietary license and you can design your vector graphics according to your wish. No matter, how beautiful your vectors are if your website is non-appealing to visitors. 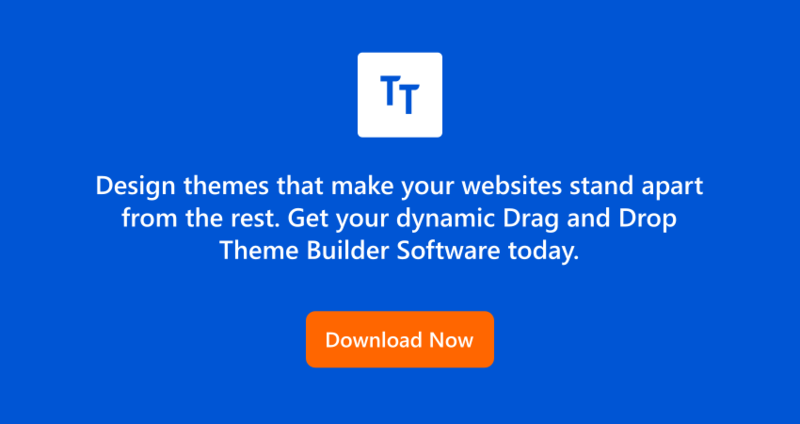 Design stunning themes using TemplateToaster, a website builder compatible to all major CMSs catering to all your web designing needs because your website is a great asset to make you stand tall in the crowd.